The Cloud has long been touted as the cure-all for your digital pain points. Out of storage space? Send it to The Cloud. Don’t know where to back up your data? The Cloud is the perfect place. Want to share your vacation pictures? Put them on The Cloud! But just what is “The Cloud” and how in the world does it work? There is not just one cloud; there are many clouds. Inside each cloud are computers just like yours, except they’re usually much bigger and faster, and they are always connected to the Internet. Those computers are called servers and those servers exist in a building someplace alongside many others. So really, a “cloud” is just a room of powerful computers connected to the Internet. When you save data to The Cloud, you are simply sending your files to another computer for safe keeping. If you store your data in one of the many cloud services available today—or even on your PC— you want to make sure you’ll be able to access that data again and transfer it to different devices. If something happens to your cellphone or laptop, you want to make sure you can restore all the data (pictures, videos, emails and contacts) that was on it. A major concern here is the security of the cloud-based application you use. Some companies are not accustomed to protecting your data, but we are. Asurion uses virtually unbreakable encryption techniques to make sure that even if your private pictures and videos are somehow intercepted by hackers, they cannot be viewed. This technology comes standard on all our products, available at your wireless carrier. 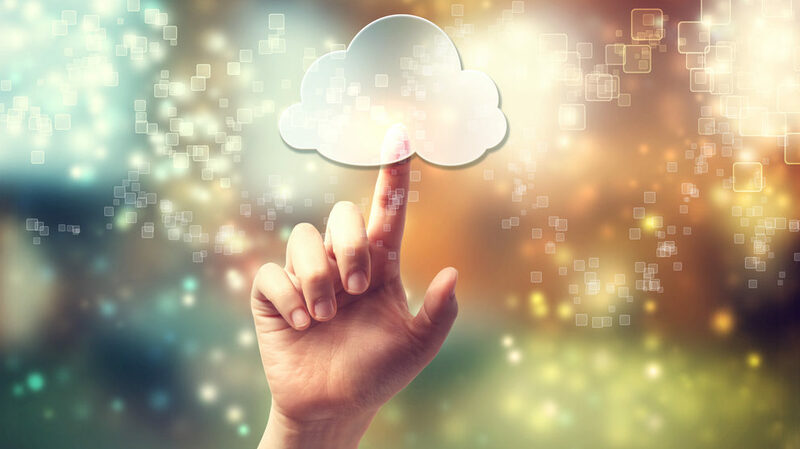 Here are 3 things to think about when picking The Cloud for you. A lot of companies start only to shut down a few months later. Be sure that The Cloud you save to will be sticking around. For example, your phone service provider probably isn’t going anywhere and would be a good choice. Using The Cloud should be easy and even automatic. Set it and forget it until you need it again! Automatic syncing allows you to establish your preferences once, then never think about it again. This keeps you from losing any data should you forget to upload it to The Cloud one week. You’ll want a service that provides simple access to your files from all of your connected devices (phones, laptops, and tablets). This makes sharing your pictures and videos with friends and family easy too, since it can be done from any device. To learn more about secure cloud-based services, visit www.asurion.com or talk to your wireless carrier.